Old Dominion University’s Panhellenic Council co-sponsored the Women’s Center Annual Fear 2 Freedom event. During this event, volunteers learned the signs of sexual violence as well as how to prevent it. Since Panhellenic organizations were founded on the idea of women’s empowerment they chose to co-sponsor this program because they like to be of service to their community. 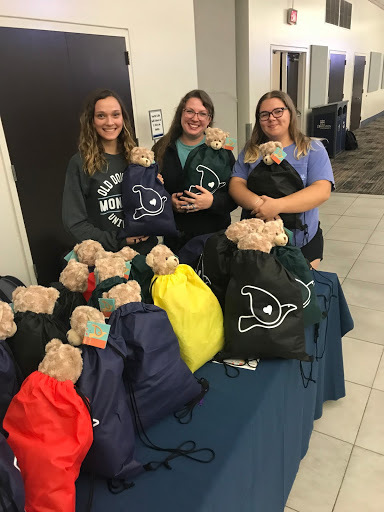 Members from all seven Panhellenic sororities made care packages for women and children who have experienced or fall victim sexual assault. Survivors receive the care packages after receiving their PERK (Physical Evidence Recovery Kit). In the care packages are a new set of clothing, since their clothes have to be kept for physical evidence, toiletries, a stuffed animal, and an encouraging note from those who made the kit.